Some 10,000 years ago, the globe appeared as greener than today. Natural forests covered 48 percent of Earth’s land surface. Green biomass consists mostly of the perennial tree trunk, branches, leaves and roots. They accounted for 850 billion tons of primary carbon. In the atmosphere, less than 550 billion tonnes of elemental carbon was produced. Since then, the forests began to disappear, first slowly, but with the growth of mankind and the industrial season that started in the 18th century, as ever expanding. Today our forests have decimated so that they cover only 31 percent of the Earth’s surface. The amount of carbon in the forests has dropped to 550 and the amount of carbon in the atmospheric has risen to 850 billion tonnes. Forests and climate have been dating for a long time, but now the parts have changed. The ball game trump card, the majority of elemental carbon, has shifted from forests to the atmosphere. The decline in forests had a profound impact on the Earth’s ecosystem. The tree carbon ended up as carbon dioxide in the sky and triggered a change. Atmospheric excess carbon dioxide is a disadvantage for the mankind. The climate warms up, becomes more stormy with winds, and the rains for the production of food become more unpredictable. In recent years, this has been the experience of both rich America and poor Africa. The origin of the alarming, far-reaching climate change is not in fossil fuels: oil, coal, natural gas and cement raw material. Their exploitation in the industrial season only accelerated the current greenhouse effect and kilometres the phenomenon further. What the forests decimation initiated, can be stopped with the planting of new forests. With restrictions on the use of fossil materials, carbon dioxide emissions trading or international climate agreements, the greenhouse effect could not be eliminated. With them, global warming can only slow down or, at best, halting the current level. Climate change has gone too far. The globe expects massive afforestation. The restoration of forests must be of the same magnitude as it has been in the loss of forests after the Ice Age period. And there is no longer any reason to delay the removal of excess carbon from the atmosphere. The famous climate scientist James Hansen, who also lectured at the Nordic Business Forum in Helsinki this autumn, says that at least 150 billion tonnes of carbon should be removed from the atmosphere. Time for massive annual operation is needed until 2100, but planting trees should be taken immediately. In order to transfer the massive amount 150 billion tons of carbon to the new forests, also massive afforestation area is needed. The computed area is about 6.2 million square kilometres. Its closest comparative is Sahara, with an area of 9.2 million square kilometres. The communication of the Earth’s forests and the climate continues. The globe is waiting for the millennium forest march, it is soon ahead of us. 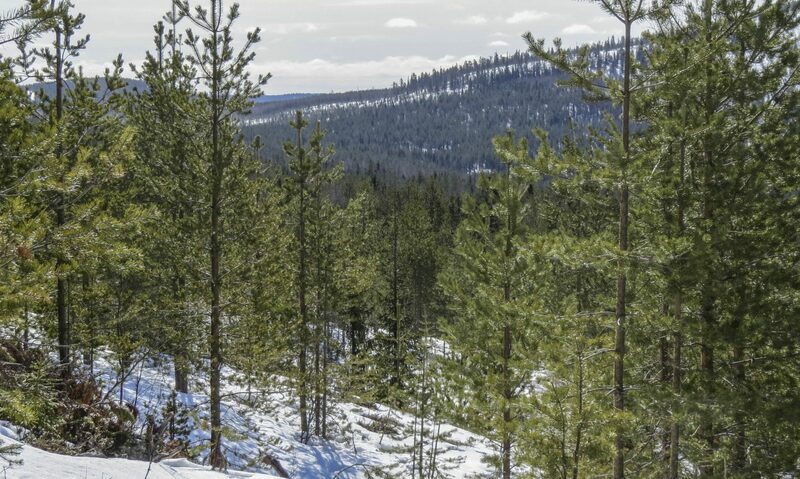 Finland has plenty to give to the global forest march; the positive forest march has continued in Finland already for 100 years.